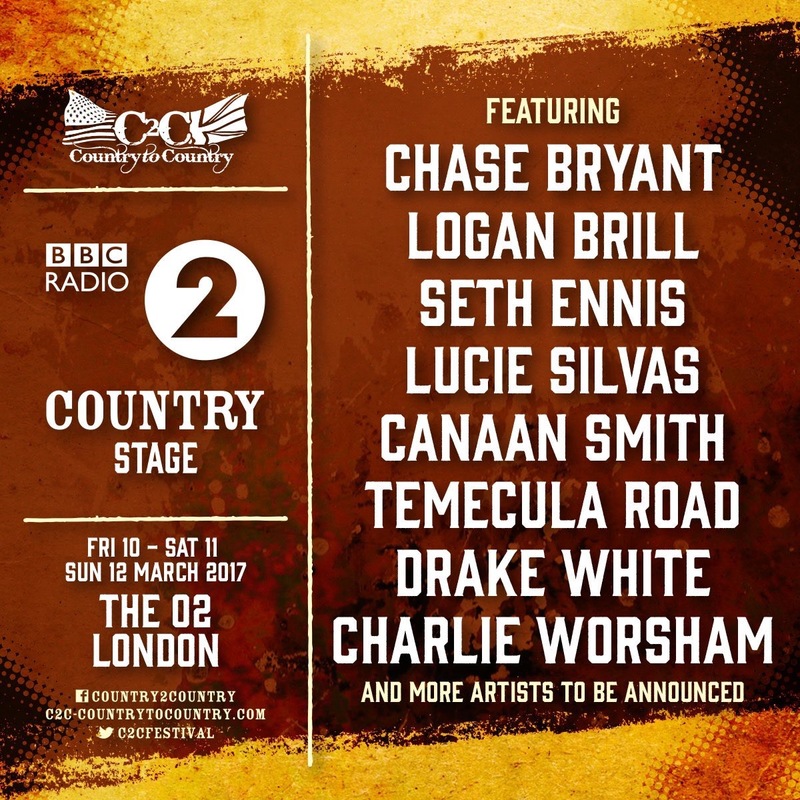 We are excited to confirm that once again there will be a BBC Radio 2 Country Stage at C2C 2017 at The O2 in London. First names revealed are: Chase Bryant, Seth Ennis, Lucie Silvas, Drake White and The Big Fire, Logan Brill, Canaan Smith, Temecula Road, Charlie Worsham and Cassadee Pope. More to come and dates and times will be announced in February. 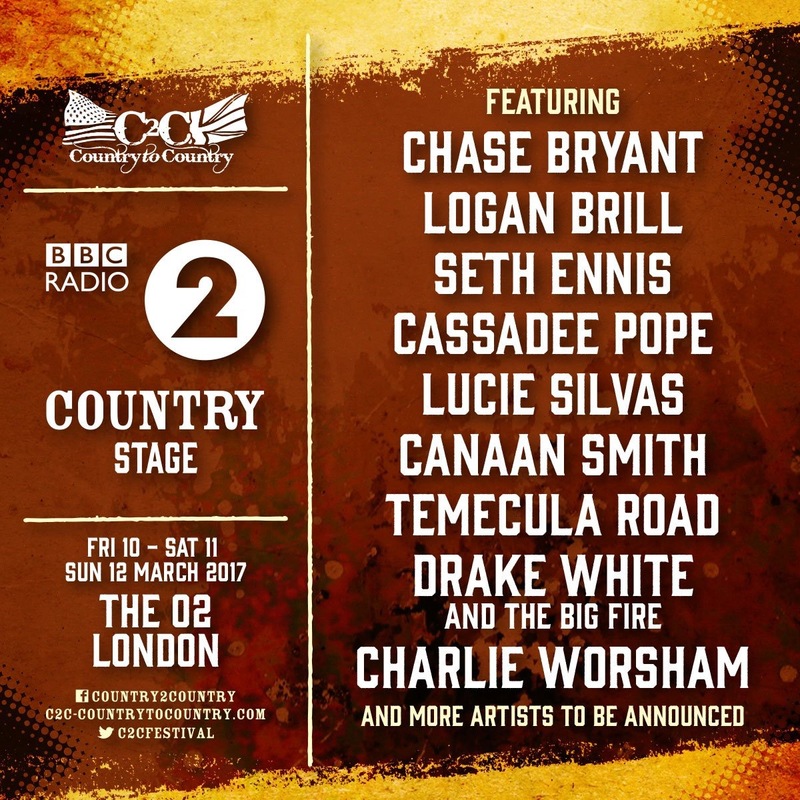 This news comes as BBC Radio 2 announce the return of their “BBC Radio 2 Country” pop-up digital service from Thursday 9 to Sunday 12 March (12 noon until midnight) which will feature special programmes and live broadcasts from The O2.